One of the most frequently asked questions after breast augmentation surgery is what type of bra should be used after the procedure. Before treating this question, the best answer is to suggest that the patient consult the plastic surgeon who has been involved in the operation in order to suggest the most suitable type of bra. In this space we only try to guide you if you have not explained the best option and help you in that case. From the breast augmentation intervention the patient will come out with bandages prepared by the surgeon or his medical team. All indications must be respected to the millimeter and not taken away until the same doctor indicates it. It should be the doctor or his or her team who removes the bandages. You should wait until the specialist recommends you to start using the bra. It is very important to choose the right bra, after the operation of augmentation, elevation , reductionor reconstruction of the breasts. Correct selection can help decrease post-operative discomfort and speed recovery . 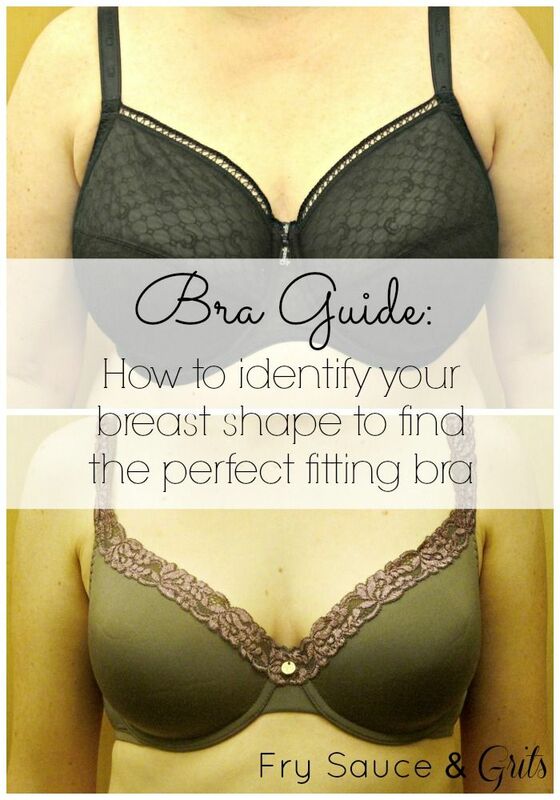 How To Find The Right Bra? Comfort: Because the area involved is very sensitive, and sometimes painful, the bra should be comfortable. Fastening and safety: You must protect the area properly avoiding excessive movement. Plastic surgeons initially recommend sports bras without rims from JANESPORTSBRA. According to the evolution, a change of fastener can be advised by another. The sports bra must be adapted to the response that the surgeon observes in the formation of the capsule. If the capsule is very thin it is recommended a tennis bra with rings, while if it is very strong some surgeons advise not to use any type of bra but to place a tape on the upper chest. Elastic and soft material: Without seams and with adjustable straps, so that the woman can adapt it to her figure. When selecting the size you have to take into account both the contour and the cup of the fastener. It is important for the patient to acquire the bra before surgery so she can wear it after the bandages are removed or directly after the procedure is completed, as recommended by her doctor. This bra must have adjustable straps for greater attachment and adaptability. It should not have rings, nor rigid seams. There should be no hoops. Elastic cups: In order to better adapt to your new body contour. Medical prescription: which implies that the recommendations of the plastic surgeon should be followed. It is advisable for the patient to acquire the bra before undergoing the operation and put it on right after the bandages are removed, unless otherwise prescribed by the plastic surgeon. In the postoperative period of surgery with implants, it is usually recommended to use day and night a sports bra for at least one month. The fastener, in addition to performing its holding function, also makes a slight, constant pressure, which contributes to decrease edema or swelling of the chest. While you feel discomfort or the breast tends to become inflamed, the bra will continue to be used 24 hours a day. After a month, you can fall asleep without a bra as long as it is not annoying. We must insist that this fastener will help reduce the edema that has appeared after the breast augmentation operation, since it will put a slight pressure on the breasts. Ultimately, the fastener should not only perform the fastening function but should also contribute to reduce the swelling of the intervened area. Why Should Fasteners Be Rimless? In the surgeon surgery, the height of the submammary sulcus is usually modified in the lower part of the chest, descending it. The ring fastener presses on the new submammary sulcus, which is in the process of healing. The use of fasteners with rings during the first four weeks can modify the correct healing of the new groove, which is why it is not advisable to use them. Hoop fasteners should be avoided for at least two months after the operation. Because of the above, it is not positive to wear a bra that models the submammary groove, at least until it is fully healed inside, which can take around four weeks. Once the area has healed, it could be worn rings, wonderbra, push-up or other bras. The sub mammary groove, ie the lower part where the breast begins, after the breast augmentation operation, is in a new, lower position. Keep in mind that if you did not lower your chest and only put the prosthesis of the breast , the chest would be too high. After a month of surgery, the bra with hoops can be used about three times a week and after two months, any bra, including the hoop, can be worn. Actually, the woman breast augmentation surgery can dispense with the hoop bras because the implants fulfill the purpose of creating a wide and rounded base in the breast, which is precisely the effect that tries to create the bra with hoops. Sometimes the surgeon does not prescribe the use of a fastener but a compression band. This band is used when it is necessary to help lower an implant that is a little high. Its use is more frequent when the access route or way of approach from which the incision was made is the axilla. This elastic band has a velcro and is placed around the breast so that it presses towards the lower pole, that is, towards the belly. This band is placed so that it surrounds the chest and presses towards the inferior pole of the breasts.In any case, its use is exceptional, since as a rule, the breasts descend naturally and without having to use such a compression band. Regarding the form of its use, it will be necessary to be to the instructions of the plastic surgeon, not being equal in all the assumptions. In some cases, it is used in a timely manner and, in other cases, it is prescribed twenty-four hours a day and for a period that can exceed four weeks. In any case, its use should only be done if recommended by the plastic surgeon, otherwise it could significantly worsen the results achieved and complications arise . Why Are There Sometimes Different Recommendations? We must comment that the type of intervention that the patient has performed as well as the evolution of the breasts during the postoperative period, will condition and may even change the recommendations given by the plastic surgeon. In short, depending on each case, of each patient, we can arrive at situations as diverse as in some cases the plastic surgeon recommends to the patient to place the breasts inside the fastener in a determined and different way to that of another patient, and Even, exceptionally, it may be recommended that the patient wear the hooped fasteners from the first week, or that the compression band be worn over the breasts. In general, in chest reductions, the use of sports bras and without hoops is recommended, since, as we have said, the intervened areas tend to swell or edematizarse , reason why the use of these sports fasteners will exert a constant pressure On the intervened area, helping to reduce the swelling of the breasts. The period of postoperative time that will be used will depend on each case and the evolution of the breasts after a breast reduction . As a general rule, it must be used as long as there is swelling and always under the supervision of the plastic surgeon. We insist on the idea of ​​not wearing bras with rings to become annoying in the healing process , among other reasons. In the postoperative period, a sports bra, without rings, should be used, since the breast has a tendency to form edema. The fastener makes a constant hold and pressure that prevents and decreases inflammation in the breasts. The time that the sports bra must be worn while wearing it day and night will depend on the evolution of the breasts and should always be used while the breasts remain inflamed. The sports bra is also the one that should be used in the reconstruction of the breast, regardless of the reconstructive technique used. In the same way whenever sport is practiced it is necessary to use a sports bra, which should be reinforced with a sports top. Nowadays, there are specially designed bras and top with breathable fabrics that keep the chest attached and help with physical exercise or sport . Both the bra and the top should make even pressure but that does not prevent them from being very comfortable to wear. How Should You Choose A Bra With Rings After A Breast Augmentation Operation? Generally, women tend to choose a bra with B cups, which are the most common, making sure that the breast fits in the cup. The correct thing is first to look for the size corresponding to the perimeter of the chest below the chest and, later, the suitable cup is looked for. This cup does not usually coincide with the B but with the C or even a D. What is advisable is for the woman to make sure that when the bra is removed, there are no marks on the ring in the middle of the breast, Be in the groove. It should be noted that, if not, the ring would tend to reduce the width of the chest constantly, leaving less and less space for the prosthesis, which may cause it, over time, to deform. That is, the hoop should follow the submammary groove. In accordance with the above, as practical recommendations for choosing, measuring and acquiring bras after a breast intervention, comment that they should be suitable bras for use after the operation or during the subsequent weeks, according to the instructions of the plastic surgeon. They should be open in front and wide underneath, for convenience. No seams on the crowns and with soft edges to avoid damaging delicate skin with scars. They should facilitate access to the operated area and it would be advisable not to have brackets on the back that may be uncomfortable when you are resting. The pockets of the cups should be designed so that the woman can feel comfortable and confident . Possibly differences between the fastener normally used and the fastener to be used postoperatively will be noticed. The fasteners are usually half-cup, however, the post-operation bras, are usually whole cup, covering the entire chest and even higher. When the woman tries on a post-operation bra, she should not just look in the mirror, but should move her arms upward in order to make sure the lower strap of the bra does not slide up. You must ensure that the lower strap fits properly . If it is too large, it will slide up. The lower band should be stronger to compensate for the lack of rims. Make sure the cups hold the breast well. The unfilled white bra is the perfect garment for testing the prosthesis. Black bras do not always show the discrepancies of the bra, being difficult to see in the mirror. What is the difference between a bra and a bralette? 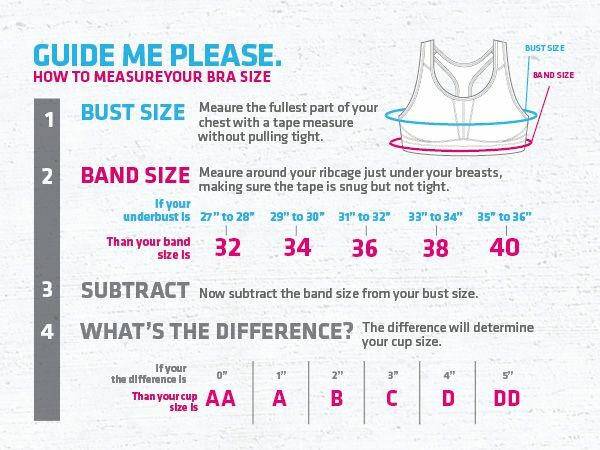 What are the different types of bra used by women?